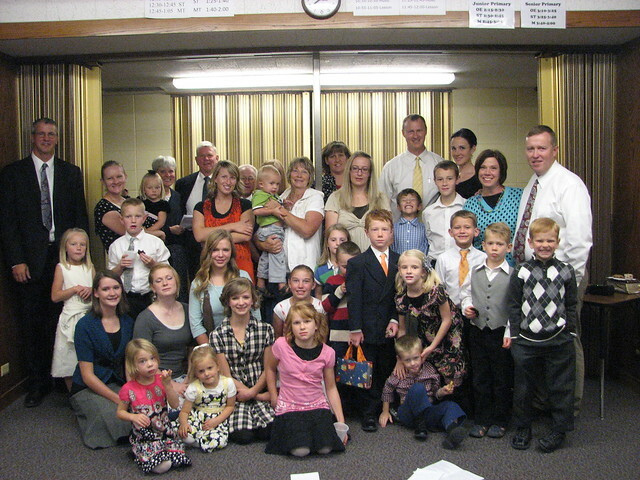 This group of good looking people attended Fisher’s baptism on September 28, 2012. There were actually more people there, but wrangling them all into a photo seems to be harder than it should be. It was a wonderful event and I’m so proud of Fisher. He’s been looking forward to baptism, Scouts, more exciting iFamily classes and doing and learning more as he grows older. Fisher keeps amazing me with interest and growing curiosity about all things nature, all things construction and all things b.o.y. ! He cracks me up! I’m so happy to have been able to attend and especially pleased that he asked me to participate on the program. I had the opportunity to talk to him about the importance of baptism. Tracy included my little talk over here, so I’ll not repeat it on this page. I’m enjoying this little red-headed, freckled-faced, super-inquisitive boy more than you could ever know and am so, so glad that he and Annesley came and visited me for a week.